There are numerous web languages available today including CSS editors or Cascading Style Sheets. It is a particular type of coding which gives you the power to enhance the look of your website. CSS is one of those languages which are responsible for improving the design of your website. From changing the color of the background of your website to modifying the header width of the site, CSS plays an important role in the overall look of your website. In order to have an enticingly appropriate website design, one doesn’t need anything else more than a fully functional and useful CSS editor. With the help of a good CSS editor, any programmer can easily write the code and make the required changes in no time. In addition, the process becomes even smoother if you can see the changes you make in the CSS sheets. Online editors not only make coding easy but also help the programmers to monitor the modification they make in the coding. During a debugging session, you can check how your changes are furnished in the actual browser window despite reloading the page over and again. All the modifications you make are reflected immediately in the browser. As a matter of fact, online businesses are on the rise and so is the need to launch new online editors to make the coding easy and hassle-free. Live CSS editors are hard to find. 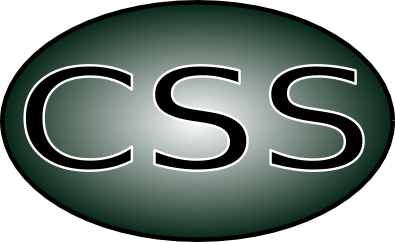 Therefore, we have pulled together some of the most popular online CSS editors to help CSS programmers. 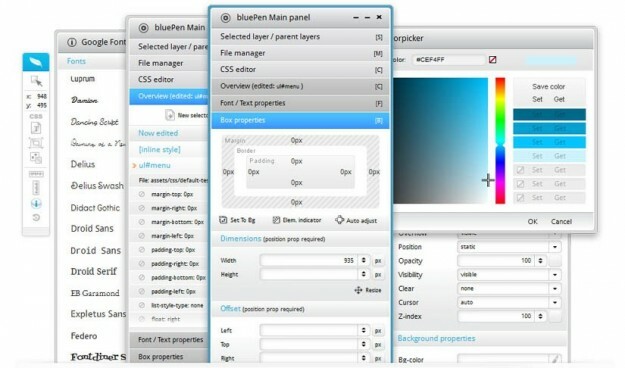 BluePen Editor is a great tool for dynamic as well as static websites. It is a PHP-powered CSS editor which can be easily mounted to any website and start live CSS editing in no time. All you need to do is trigger it with a bookmarklet and you are all set to start editing and making changes in your website live. It opens a live editor widget and makes all HTML rudiments hover able so that the tool can easily find the CSS rules. WebStorm 7 is a new tool to help you keep up with the latest technological trends and greatest development innovations. 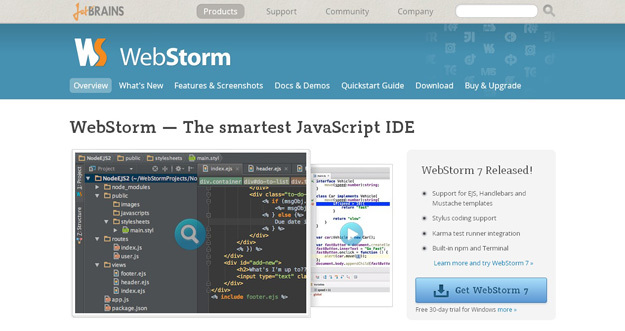 WebStorm is a great tool to help you make the most of your knowledge and bring out the best in you. The tool also offers new support for Compass. It consists of variables, mixins, and functions from imported Compass files. 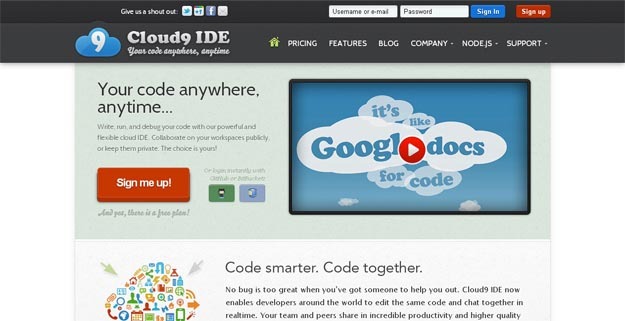 Cloud9 IDE is a complete package and provides the fastest editing in comparison to other tools available online. The tool features bundled syntax highlighting support for mixed modes, CSS, HTML and JS. It also has incorporated debuggers for Google Chrome – most popular and widely used browser- and node.js which can be easily stopped, paused and started, paused and stopped from Cloud9 IDE. Coda 2 is a great application which enables you to effortlessly work together with other applications. The tool comes with a built-in FTP sidebar, which assists you to update your website quickly. The tool also allows you to edit multiple files alongside in a split pane. Code 2 is a full featured text editor and has numerous features such as integrated subversion, an open quickly window and clips. Espresso is a powerful tool to improve your coding speed while maintaining the quality. Previously known as CSS Edit, it is feature rich tool for MAC, providing 100% support to CSS3 for internet previews, shadows, and multi-browser gradients. Espresso allows you to make any changes in the style sheet in the real-time. All you need to do is monitor changes in the browser while making changes without uploading and saving. Free CSS Toolbox, as the name suggests, is an open source tool, which means you can use it for free of cost. 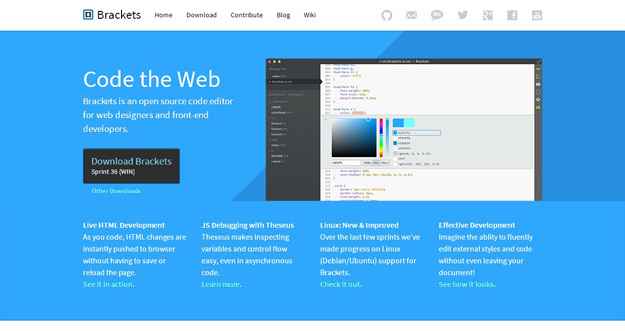 The toolbox is launched for programmers who work with CSS on a regular basis. The tool comes loaded with many different options for improving the development of CSS code and fast-tracking. CSS Validator and CSS Formatter are other added features of Free CSS Toolbox. It helps you save time, money and efforts while improving the productivity. EngInSite CSS Editor is a fully functional CSS development tool. The tool is launched to help programmer to unleash their creativity, and save time and efforts. EngInSite CSS Editor offers a fully customizable text editor option and is incorporated with instant style sheet preview. The editor also comes loaded with W3C HTML validator. Additional features of EngInSite CSS Editor include dynamic shorthand properties, ultra-fast CSS parser, code auto complete, Unicode and UTF-8 support. 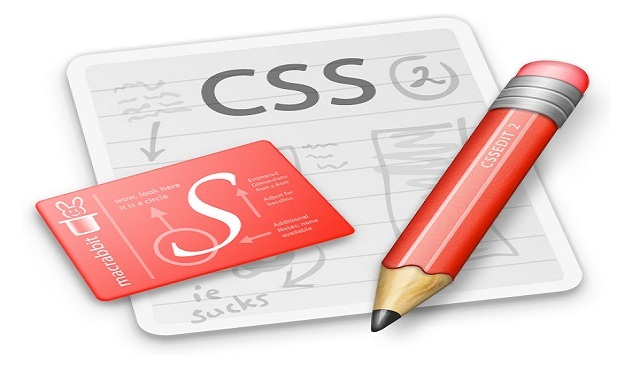 Style Master is one of the most popular cross platform live CSS editors. It is not only a live text editor but also supports your workflow. Style Master also helps you create style sheets according to Ruby, ASP.net, PHP, and HTML. You can make modifications in the CSS via FTP. Style Master is a versatile editor and allows you to monitor your coding process completely. Live CSS editing has never been so easy. Few clicks and you own the website. However, to avoid burning a hole in your pocket, you can try out some deals available on these CSS editors online. Check Here to find out inexpensive editors.